Sponsoring is different from organizing a design competition. 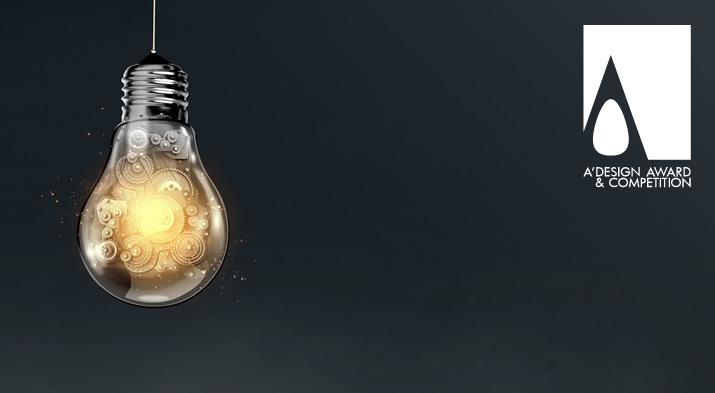 We provide many possibilities of involvement;, if you are planning to organize a unique design competition that will run as a seperate platform or website click here. If you would like to sponsor a custom competition that will use and run through our existing website, click here. Or continue reading if you plan to become a category-sponsor. To read other sponsorship options such as grand sponsorship, name benefactor, institutional sponsorship, press sponsorship and others click here. Category Prize Sponsors are sponsors for money, product, education, job-contract or other promotive prizes in each category, the prize will be named as "A' Design Award of Company-Name in Category-Name". The prize has to be significant; a prize is considered significant if it is at least equal to minimum wage in a given country. The sponsor can be a company, organization or individual. This is a one-time sponsorship but could be repeated. You can apply for category prize sponsorship by clicking here. Category Jury Sponsor is a sponsor company or organization who provides an important Jury member to a given competition. Members of sponsoring organizations, employees of the sposoring companies, and the immediate family members of the sponsoring companies and organizations cannot enroll for a prize. For custom competitions only the Jury members cannot join the competition. The Individuals can also apply for being a jury, but in case their immediate family members and themselves cannot enroll for a prize. This is a one-time sponsorship but could be repeated. Apply for being a Jury sponsor. • Observe ideas and designs focusing on a particular issue or problem. • Advertise your enterprise in a positive way and build brand identity through competition involvement. • Create a reason to make a press release and public relations campaign. • Advertise your products, services or platform by taking part in the event. • Access our database of competition participants. • Deepen customer relationship and engagement through your design competition involvement. • See and observe design trends. • Advertise your company through the design competition to designers, design lovers and public. • Connect with design industry and professionals, discover hidden gems and new talents. • Get credibility and improve your authority in your market and the design world. • Drive traffic to your websites. • Improve design culture within your organization, by building a database of participants and registering them with your human resources department, recruit and work with talented people around the globe, incorporate these people to your own enterprise. • Support global design culture by backing up designers through monetary (by awarding them with a prize money), and famosity aid (by publicizing their works and advertising the award) and by realizing their projects and by professional feedbacks through judging process. Sponsors are featured in this yearly book to increase the exposure of their brand identity to a wider public. These yearly ResultBooks are delivered to a wide range of professionals. Extensive coverage in global media ensures that your brand reaches a worldwide audience. There are also services for custom press release preperation for sponsors. In addition to standard press and traditional media, A'Award advertises winners in online media and search engines as well to millions of people who are searching for design. Sponsors' names automatically appear in these pages. Sponsors are introduced to winner designers before the announcement of results, so that you can buy production rights of a design before public announcement. The "A' Design Award Sponsor Certificate" is a proof of authority over design which you can use to highlight the qualifications of your brand. Sponsors are introduced to Curators, Architects, Designers, Editors, and other relevant people and institutions in the design world to get more out of the organization. Sponsors are very likely to find new people that they will work with, to develop successful and high selling products, and services. Sponsors get enough exposure to increase the sales of products and services significantly. Get more benefits by organizing a unique design competition that will run as a seperate platform or website. Or learn more about sponsoring a custom competition that will use and run through our existing website. You may also like to learn about other sponsorship options. 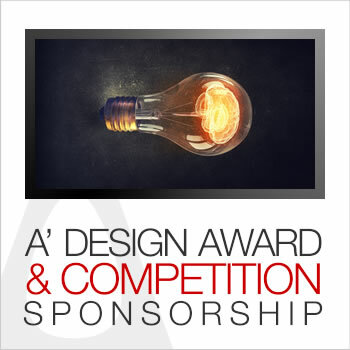 Sponsoring the A' Design Award and Competition is a great way to engage the design community worldwide, position your brand as a leading design oriented enterprise today.